Next to safety, our number one priority at Mid-American Glazing Systems is service. We take pride in the fact that our glaziers put the needs of the customer first, and we are not satisfied with the end product unless the customer is as well. It is our goal to give excellent service, build relationships, and to show courtesy and professionalism toward our customers in everything we do. MAGS glaziers going above and beyond the call of duty. 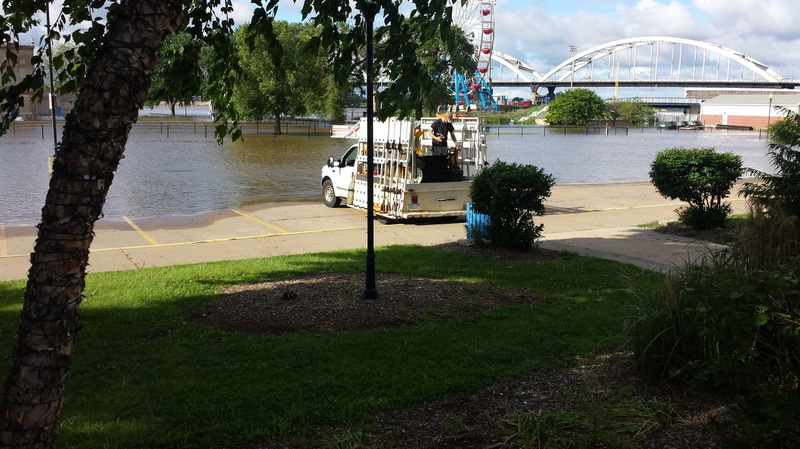 Even the rising Mississippi flood waters do not keep them from getting the job done. 2018 Mid-American Glazing Systems, Inc. All Rights Reserved.